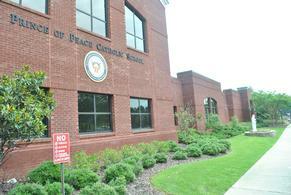 Prince of Peace Catholic School opened its doors in the year 2000. Seven years later we celebrated our first 8th grade graduating class of 13 students, most of whom went on to graduate from John Carroll Catholic High School and later attend college. Today, we serve more than 450 students from pre-k thorough the eighth grade. 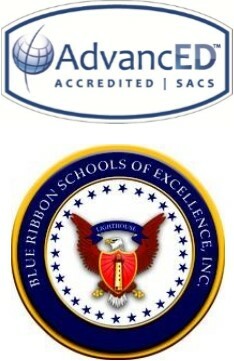 Our school has the distinction of receiving the Blue Ribbon School of Excellence designation and we are fully accredited. Prince of Peace staff bring years of experience as well as new, innovative teaching techniques to the classrooms. Technology is integrated into all grade levels, including preschool. We continuously work to improve our campus safety and offer an array of social and academic opportunities that interest all types of learners. We have been blessed with a new and ever-expanding facility under the leadership of Father John Fallon, who has served as Pastor since 1998. As our school has grown, our vision and philosophy has stayed strong. Despite student waiting lists for entry and requests to increase class sizes, Prince of Peace remains loyal to the belief that smaller classes enhance student learning. The recent addition of a stand-alone middle school building allowed us to expand the number of classrooms for kindergarten through third grade students. In turn, we were able to admit more students in these grades, hire additional teachers, and still maintain our desired teacher:student ratio. We remain committed to providing the most personal Catholic education experience possible and we look forward to building a trusted relationship with all of our Prince of Peace families.